The registration fee for this conference of £75 per person (£35 for PGRs/unsalaried) includes a reception on the evening of Friday 8th June and lunch on Saturday 9th June. It is payable in advance via the online payment form. 'City, Space, and Spectacle in Nineteenth-Century Performance' is convened by the editors of Nineteenth Century Theatre and Film: Professor Jim Davis, Dr Janice Norwood, Dr Patricia Smyth and Professor Sharon Aronofsky Weltman, and is sponsored by the Humanities Research Centre, University of Warwick. The city played a central role in nineteenth-century performance, whether as a setting for stage drama, the site of festivals, carnivals, and street theatre, or as a context for the performative interactions of everyday life. 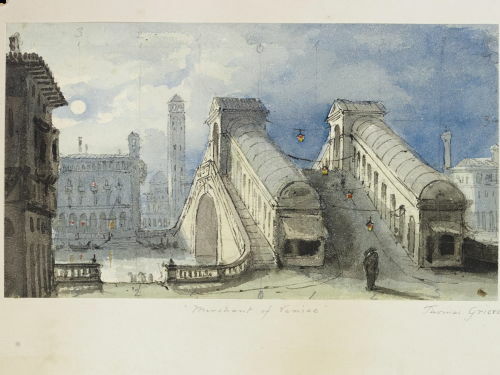 A favourite subject of new types of show such as the Panorama and Diorama, the city itself offered a compelling spectacle to inhabitants and visitors alike. Throughout the century, crowds were frequently drawn to particular sites and scenes in which the city was felt to reveal its secrets, while gaslight rendered the metropolis into a drama of lights and shadows, what Lynda Nead has called ‘a poetics of gas’. We invite the submission of abstracts on any topic connected to the themes of city, space, and spectacle in nineteenth-century performance. We welcome papers on all types of urban performance and also its representation in other media such as fiction, poetry, painting, photography, periodicals, and early film. Possible subjects could include, but are not limited to: the role of urban settings in drama; the fascination with the ‘real’ (for instance, topographically accurate simulations of the contemporary urban environment); antiquarian reconstructions (plays claiming to recreate sixteenth-century Venice, ancient Nineveh, or old London); carnivals, festivals, puppet shows, and other extra-theatrical events; the city as a site of performative interaction (rituals, ceremonies, political demonstrations, hoaxes, the business of everyday social life); imaginary cities (for instance, Pandemonium as portrayed in de Loutherbourg’s Eidophusikon or in Burford’s Panorama); ‘ideal’ cities (as in the White City at the Chicago World Fair); the fascination with certain urban sites (underground spaces, places associated with criminality); the city as the site of catastrophe (for instance, plays about Pompeii); theatre buildings as part of the urban fabric (as in the role of theatres in narratives of progress and/or decay); urban themes within plays (shopping, speculation). Speakers will be asked to present 20-minute papers with questions and discussion at the end. Please submit abstracts of 200 words and a biography of 100 words to P.M.Smyth@warwick.ac.uk by 31 January 2018. City, Space, and Spectacle in Nineteenth-Century Performance is sponsored by the Humanities Research Centre, University of Warwick.